Most ecnomical way to get started. With this kit, you can load up to 50 rounds per hour. 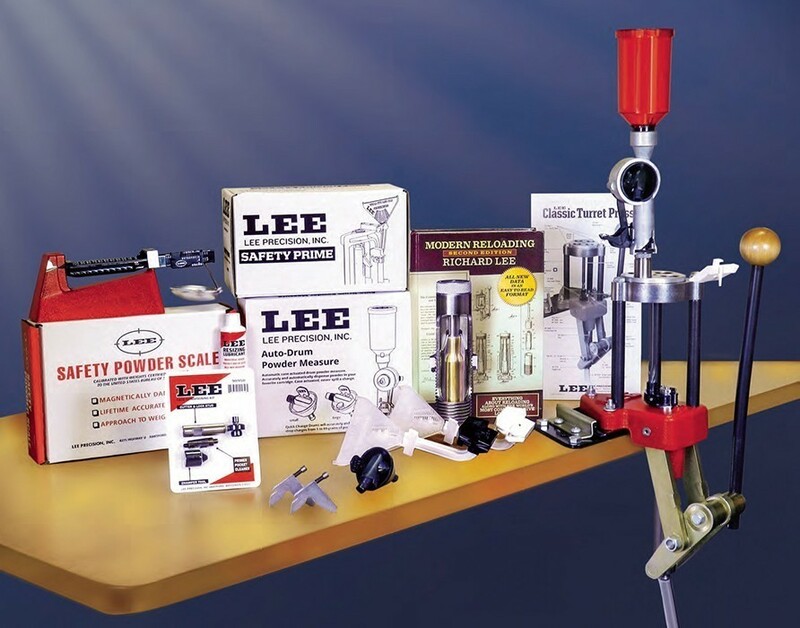 Lee Precision reloading press kits include everything you need to get started with the addition of your cartridge specific reloading dies and appropriate case length gauge (if reloading Rilfe cartridges). The Anniversary kit and Breech Lock Challenger Kit will work for both rifle and pistol cartridges. What differntiates these kits is the way you prime. The Anniversary kit is for those who prefer to prime on the press (typically customers reloading handgun cartridges since there is minimal case conditioning required). The Breech Lock Challenger press is for those who prefer to prime off the press using the Auto-Prime XR (typically customers reloading rifle cartridges since cases need to be trimmed). The Lee Value Turret Press kit includes the very popular four hole turret press along with everything you need to get started loading for rifle or pistol. Only the dies for the caliber you wish to load are needed as an extra item. While Lee dies are not required for use in the Value Turret Press kit, it is highly recommended because all Lee dies (except RGB) include the shell holder which is necessary for the press to use the dies. 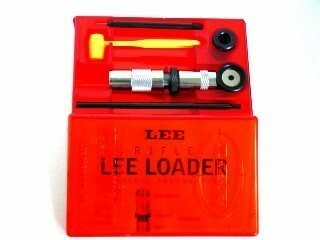 Lee dies also include the patented Powder Through Expander die which allows you to flare and charge the case mouth at the same time. Also included is load data and the appropriate powder dipper for many of the loads listed in the data. If loading for a rifle cartridge, we highly recommend the purchase of the proper case length gauge so that you may properly and safely trim your cases. Additionally, you will need to purchase a powder funnel and the Lee Powder Measure kit. These inexpensive items are necessary to adequately charge the larger capacities of rifle cases. The measure that comes with the kit is designed for handgun charging. This press is ideal for handgun loading and with experienced hands, you can load over 250 rounds per hour. For those who wish to use the press as a single station press, the auto index feature can be disabled in seconds and then re-enabled in the same amount of time. The Classic turret press is fast and convenient when loading handgun cartridges, with rates in excess of 250 rounds per hour possible. 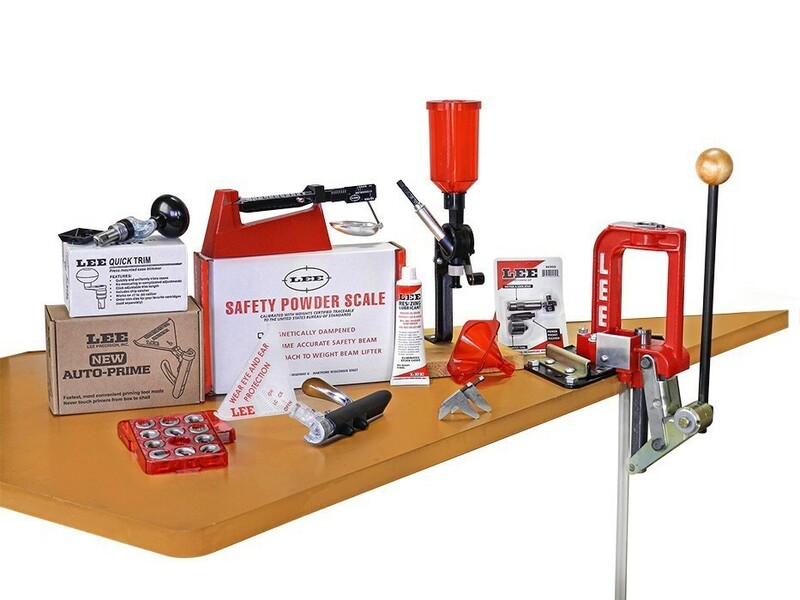 The kit includes the Auto-Drum powder measure and riser, perfect for all handgun and rifle cartridges. Large and Small Safety Prime are included making on press priming an ease. Instant change turret makes changing calibers a snap. Deactivate the auto-index and batch load the longest and largest rifle cartridges. Verify your loads with the included Lee Safety powder scale. Completing the kit is Modern Reloading Second Edition recently revised with all new load data covering 167 cartridges with over 28,000 loads.